It is January 1951, and after a year away Eleanor Webber has returned home to River Run, her familys sprawling sheep property in western New South Wales. Fleeing a failed love affair back in Sydney, she hopes for some time and space to heal. But with shearing of over 25,000 sheep about to commence, and the infamous and moneyed Margaret Winslow and her husband Keith staying in the main house as her mothers guests, that dream is quickly dashed. Then, with a storm looming and tensions rising in the shearing shed, a mysterious stranger appears on the horizon. And in one disastrous moment young Robbie entangles Eleanor in a situation that will have serious repercussions for every member of the Webber family . . .
River Run Because in the 1940s, there was concern in some parts of the Australian countryside that, due to communist influence, an invasion might happen. Stealing tinned food from the homestead pantry, Dad rode his trusty horse Garnet to the creek, rifle in hand, storing the food in a tree that would provide the perfect vantage point to defend his family, and their property, from this threat. After just a few days, he realised nobody was actually going to attack, and his self-imposed sentry duty was over. It was this tale which sparked an idea: what if it hadnt ended so uneventfully? What if something had happened? What sort of impact would it have had on the family? 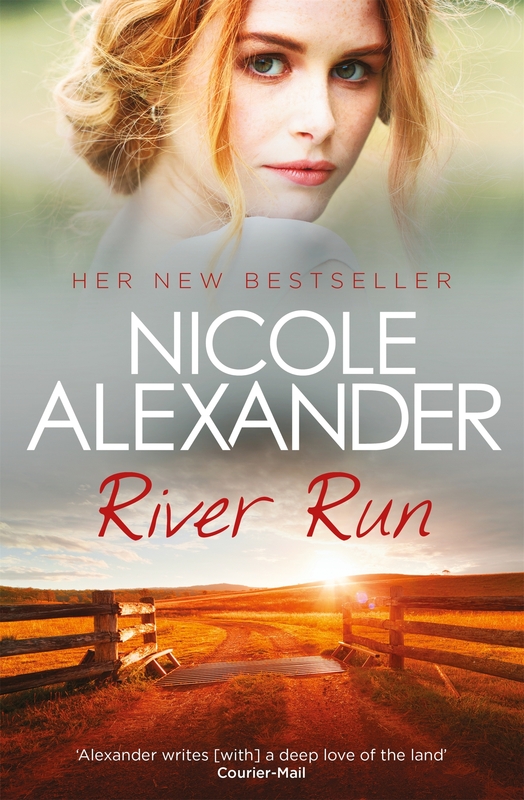 River Run paints a picture of Australia at this time  the changing attitude in the roles of women, and life on the land – the perils caused by Mother Nature, politics of the shearing shed, and the race, gender and age divide. And of course there’s love.